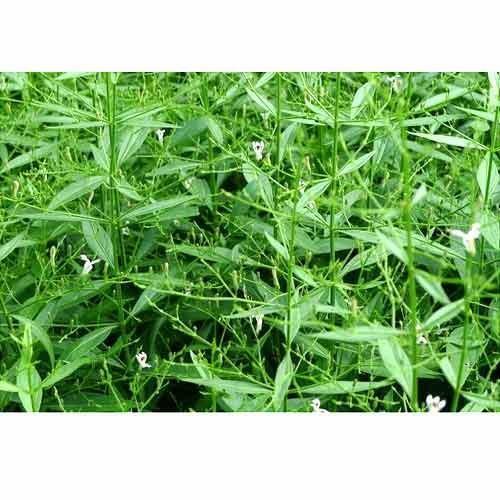 We are a leading Manufacturer of andrographis paniculata, bacopa monnieri extract, morinda citrifolia soft extract, terminalia chebula and momordica charantia extract from Namakkal, India. Andrographolide 5% & Andrographolide 10%. Main chemical components are diterpenoid lactones, paniculides, farnesols, flavonoids, andrographolide, andrographinin, neoandrographolide and isoandrographolide. Andrographolides: It exhibits antioxidant and hepatoprotective activity against liver damage. It accelerates intestinal digestion and absorption of carbohydrates by activating the brush border membrane bound hydrolases of the small intestine. It induces significant stimulation of the antibody production and delayed hypersensitivity responses. It may inhibit HIV-induced cell cycle dysregulation, leading to a rise in CD4 (+) lymphocyte levels in HIV-1 infected individuals. It shows cytotoxic activity against cancer cells. It is used to cure diarrhoea, dysentery and enteritis. 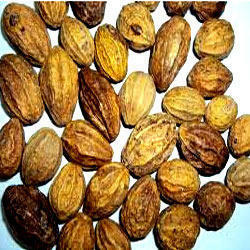 It is useful in fever, cough, sore throat, bronchitis and tonsilitis. It is used in hypertension, menstrual and post-partum haemtometra. Andrographis paniculata + eleutherococcus senticosus (for cold treatment). 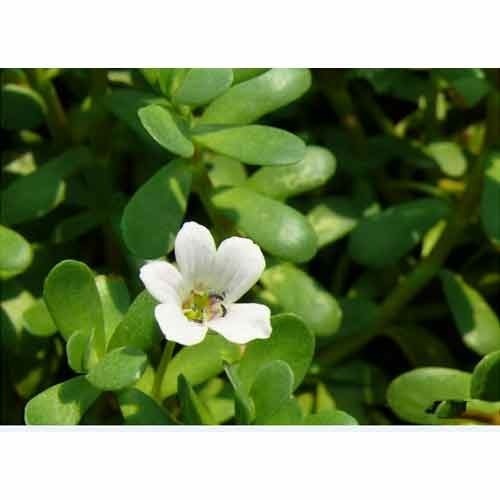 Andri, Bacopa, Bacopa monniera, Bacopa monnieri, Herb of Grace, Herpestis Herb, Herpestis monniera, Hysope d’Eau, Indian Pennywort, Jalanimba, Jal-Brahmi, Jalnaveri, Nira-Brahmi, Moniera cuneifolia, Sambrani Chettu, Thyme-Leave Gratiola, Water Hyssop. contains a constituent which has a wide anti- bacterial and antifungal spectrum, and also inhibits growth of E. coli, the most common organism responsible for urinary tract infection. Removes all blockages in the channels of the body. Use of promotes Intellect becomes make sense organs more efficient. Taken after dipped in cow urine for a night gives remarkable results in anemia. Used with shunthi and cow urine gives appreciable result in oedema. Used with butter milk gives good result in piles. Used for one year with honey enhances longevity. Gargling with decoction of Haritaki/Harad gives relief in mouth diseases. Haritaki (Sanskrit and Bengali), Harad (Hindi), Karkchettu (Telugu), Kadukkaya (Tamil), Harade (Marathi) and Gujarati). Guggul has been used in the traditional Ayurvedic medical system for centuries and has been studied extensively in India. Commercial products are promoted for lowering cholesterol; however, clinical studies do not support this claim. Anti-inflammatory and heart/blood vessel effects are being evaluated, as well as use in cancer, obesity, and diabetes. The clients can avail Momordica Charantia Extract from us. We extract the Momordica Charantia Extract using quality enriched method. Our highly pure and nutritious Momordica Charantia Extract can be availed in varied quantity packaging to cater to the diverse requirements of the clients. The clients can avail the Momordica Charantia Extract from us at affordable price. It constitutes of bitter Glucoside, Protein, Carbohydrates, Fibers and Mineral matter viz. Calcium, Iron, Phosphors, Potassium and Copper. 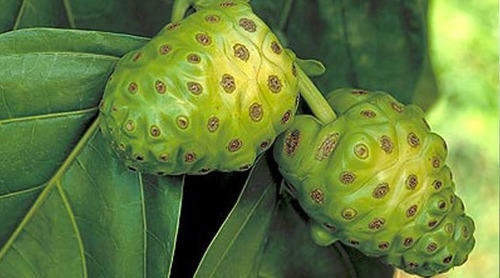 The fruits and seeds are especial rich in vitamins, proteins and acorbic acid.